Extends from 6" to 25" with a powerful neodymium magnet in the tip. 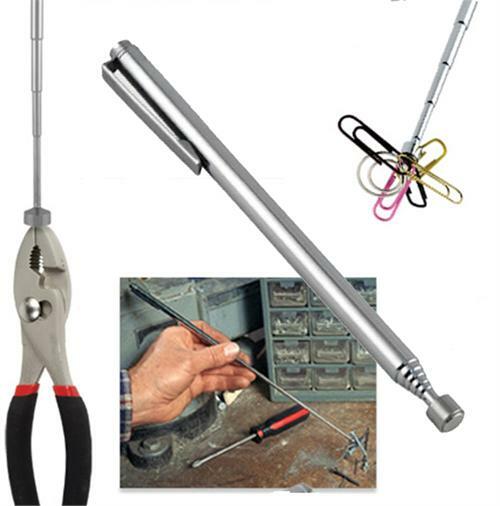 Great for retrieving small metal objects such as nails, screws, washers, key rings and more. Doubles as a presentation pointer with a handy pocket clip attached. Pick up capacity 3 lbs.